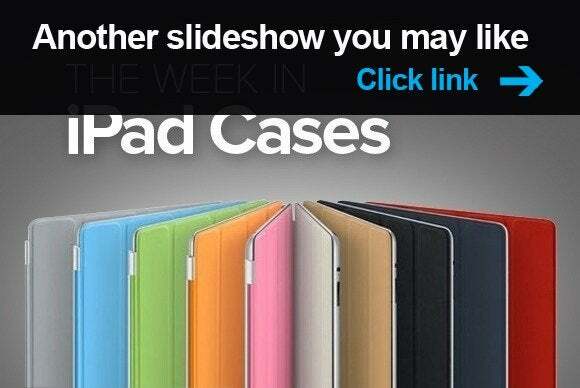 After a week dominated by iPhone news, we're back with a new installment of our weekly iPad-case roundup. You'll find the usual mix of protective accessories for your favorite tablet, including one that has a heart of… crystal. Fans of the popular British soccer team Arsenal, you can now support your favorite players by purchasing the official Leather Case (iPad 2, 3, and 4; £30)! The case features an embossed cannon branding, and the front cover flips around to double as a viewing stand in landscape orientation. The retail giant’s name may not be the first thing that comes to mind when you’re looking for an iPad case, and yet you’ll find the Deos Leather and Cristal (all iPad models, $150) tucked right into its website. The case, made from authentic leather, is dyed pink and encrusted with real Swarovski crystals arranged in the shape of a heart. The Omni (iPad mini; $30) features a foldable design that allows the case’s front cover to turn into a convenient stand that supports both viewing and typing positions in landscape orientation. The Omni comes in violet or grey. 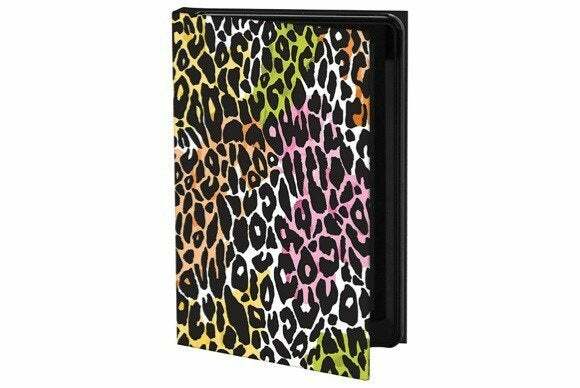 The Watercolor Leopard (all iPad models; $49 to $89) is designed to feel like a hardback book cover, and sports a colorful leopard-skin print on the front. The case is available in two models—one of which also includes a Bluetooth keyboard—and can be customized with a personalized message for an additional $10. The Portafolio (iPad mini; price unavailable) is made from a soft material that protects your tablet from bumps and scratches and feels great in your hand. The case includes a convenient strap for carrying your tablet, a stylus loop, and a front covers that doubles as a viewing and typing stand in landscape orientation. 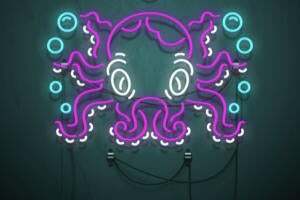 The Portafolio comes in blue, pink, purple, black, or green. 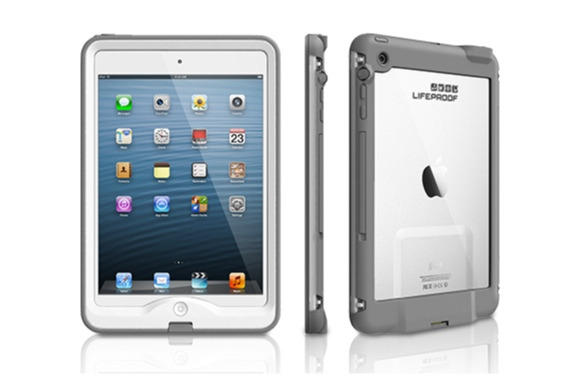 The Nüüd (iPad mini; $120) provides protection from water, dirt, snow, and shock—and it does so without covering your screen, thanks to the case’s airtight-seal technology. 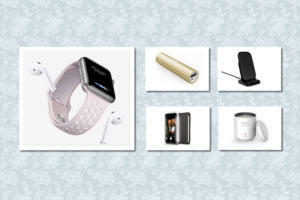 Available in a clear-color finish, the case comes with a convenient shoulder strap, and the company offers several additional accessories for sale. The Executive (iPad mini; $50) is made from PU leather and offers plenty of protection thanks to a soft feel and generous padding. The case incorporates a number of convenient pockets for stashing some cash, credit cards, and business cards. The front cover, which is compatible with the iPad mini’s magnetic sleep/wake feature, also doubles as a viewing stand at two different angles in landscape orientation. If you enjoyed this week's roundup of iPhone cases, check out the previous edition, It's raining sunshine.